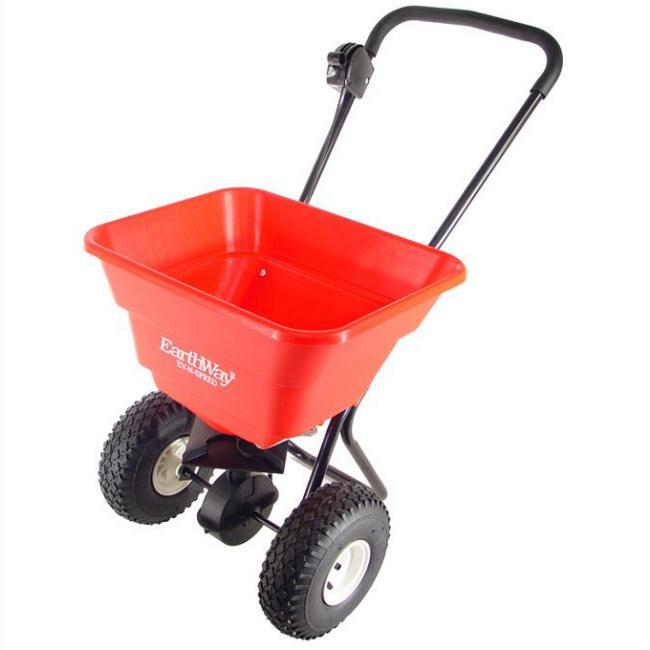 The EV-N-SPRED 2050P is a pedestrian push along salt spreader suitable for medium sized areas. 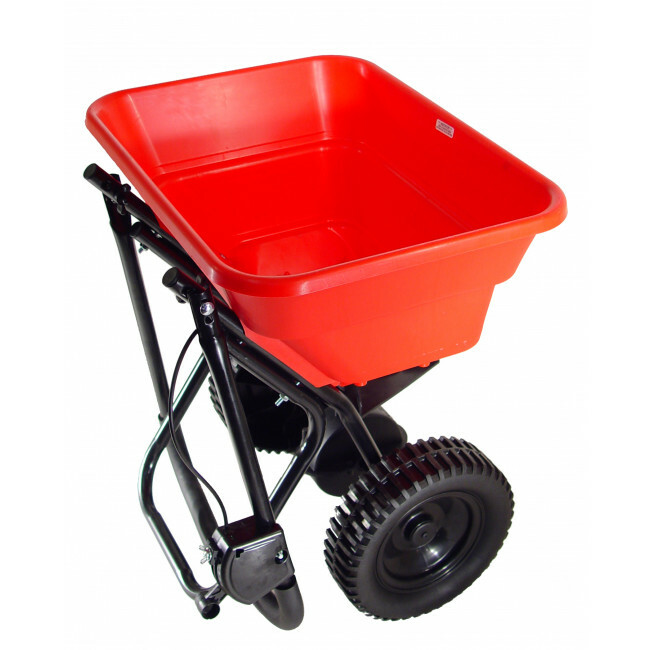 With a generous 36 kg hopper capacity and 10" pneumatic stud type tyres, this spreader is very practical. 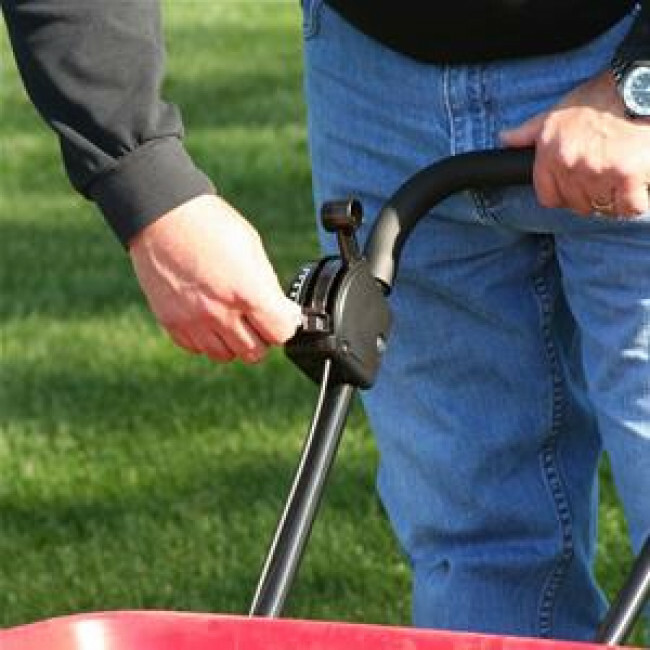 The hopper is made from tough and durable polyethylene. The 3-hole drop shut off system ensures an even application of all granular materials with professional results. 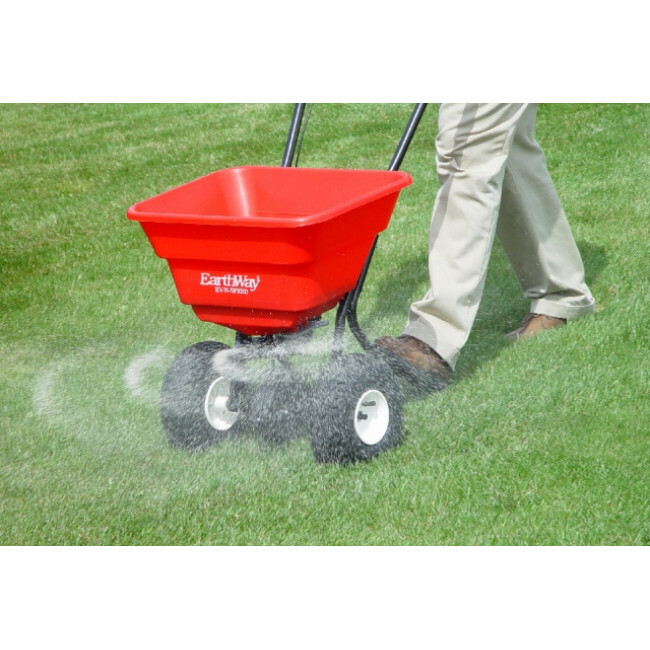 This spreader features a gearbox, meaning the amount of salt being spread can vary depending on personal requirements. 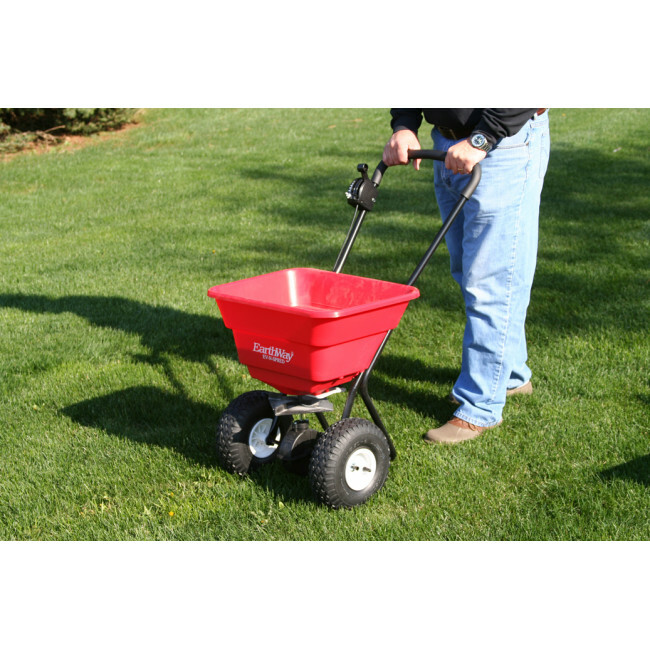 Another benefit of this 2050P salt spreader is that it has a fully assembled and folding handle. Please note - This is not for use with conventional brown grit salt. For use with a variety of top grade processed salts.